We are proud to announce our participation at IoT World 2018! Our exhibition will be in Santa Clara, CA, where the world’s largest IoT event will be held. From technological advancement to strategic insights, IoT World will be the place for everyone to gather and explore the IoT ecosystem. The convergence of IoT leaders, businesses, and innovators from across the globe will shape up the expo to be an electrifying conference. 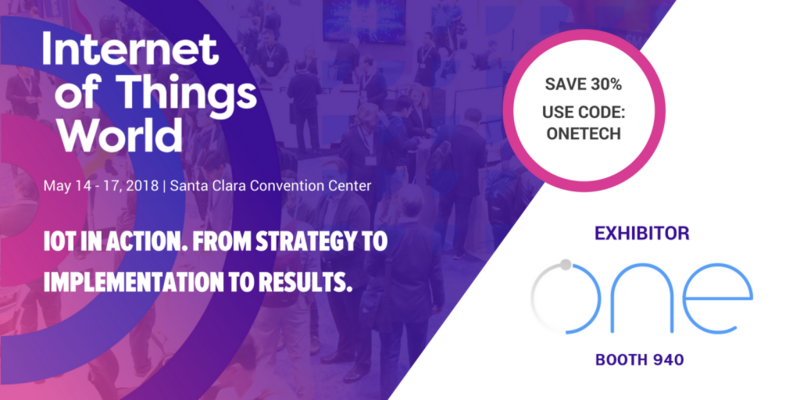 IoT World is the place to be if you are looking to see new tech and build your expertise through a comprehensive agenda that includes sessions about Industrial IoT, Building Automation, Smart Homes and Cities, AI, Healthcare, Energy, Transportation, and so much more. We are ready to unveil ourselves to the IoT and industrial world as the next disruptive force in digital transformation. Through the powerful partnership of Systena America, Inc and Plasma, we are proud to present ONE Tech. ONE helps organizations be a better, more optimized version of themselves. Through the adoption of IoT, big data analytics, and AI integration, we will redefine your organization by helping you undertake a digital transformation — leaving you a cut above the competition. Come find us at Booth 940 in this upcoming IoT World tradeshow, located in the Santa Clara Convention Center of California. We hope to see you there!